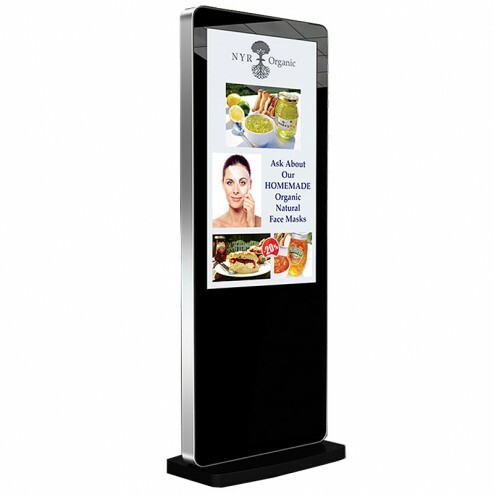 -- Please Select --50" 55"
Keep your messaging fresh, relevant and dynamic with this freestanding network digital display with built in Wi-Fi, which allows content to be updated in seconds from anywhere in the world with an internet connection. An eye-catching information kiosk and a professional looking way to share promotional offers, customer information, corporate branding and more, the networked advertising screens can display videos, images, MS Office documents, webpages, scrolling text, the local weather, and most importantly your corporate branding. The integrated android media player allows for super fast online updates with no special software required, so you can upload media, manage playlists, create templates and schedule content for relevant times, all via a straightforward and easy to use web portal. 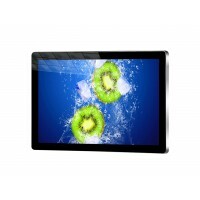 The screen is styled to resemble a giant tablet, with a striking aluminium surround and IPX1 rated edge to edge glass. With 450cd/m2 the IPS panel is brighter than any domestic TV and delivers superior image quality and colour depth with a 178˚ultra-wide viewing angle. An LED backlight optimises brightness and contrast while improving lifespan and reducing power consumption. 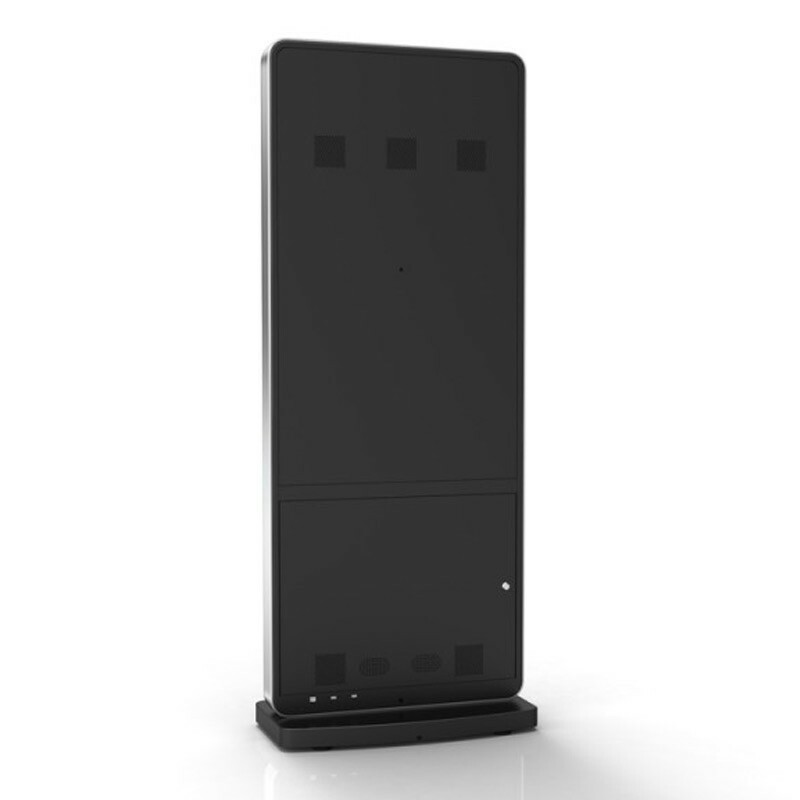 An internal locker allows the screen to be used as an external monitor by attaching HDMI and VGA devices - there are no external buttons or controls to prevent tampering – and when there is no internet connection available, the plug and play screen can conveniently upload templates, schedules and content from a USB stick. 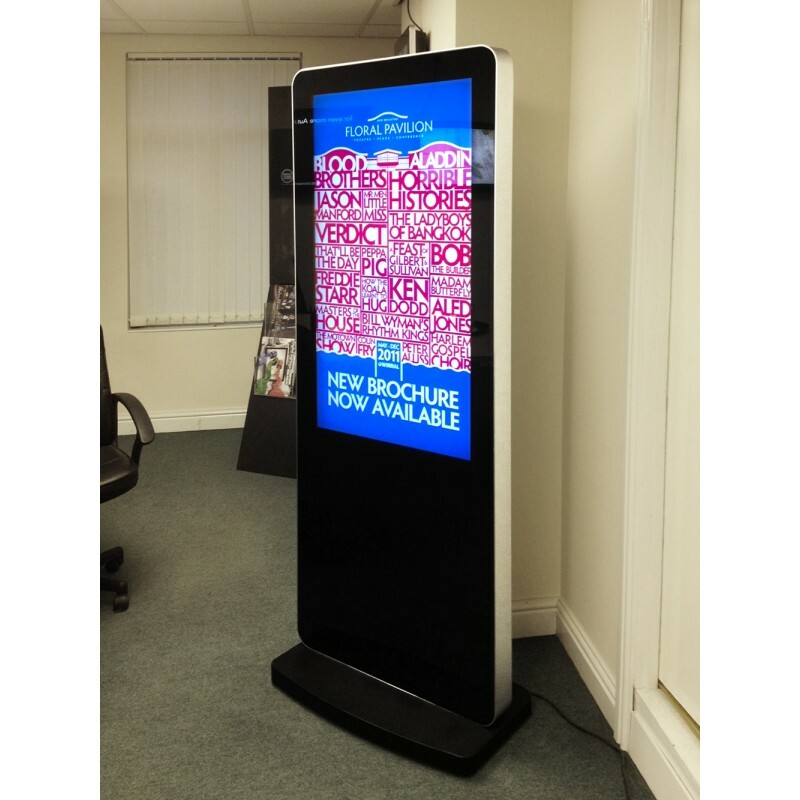 Eye-catching and highly visible, the digital advertising screen has discreet retractable castors, making it easy to manoeuvre into position. The commercial grade networked screen is designed for 24/7 use, so it is an ideal choice for railway stations, airports and hotels as well as retail and leisure environments. Get full control over timings and content with a network digital display. Schedule playlist for specific times of day or days of the week to ensure your content is relevant. Not only can you stream photos, videos and audio you can now use Microsoft office files (powerpoint, excel and word) as well as PDF's to ensure your display is as eye-catching as possible. How can I create content? You are able to create content using your own media files, including; images, audio, and video. 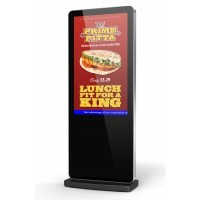 These can then be uploaded to the screen using either a USB or via the network, to update the media player. With this version of the screen you may also display Microsoft Office files, PDFs, RSS feeds, and Websites (with HTML5). 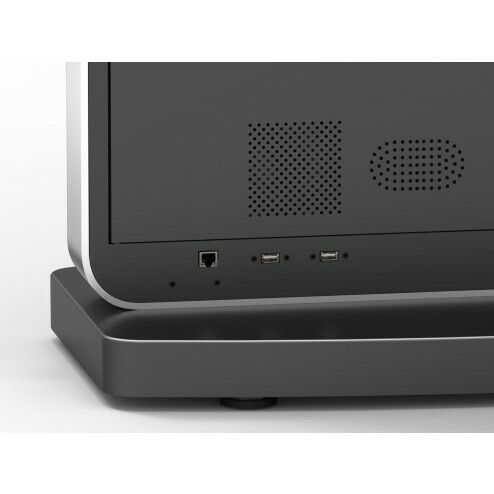 Furthermore you can use external sources for visual and audio by connecting to the screen via HDMI, or VGA and 3.5mm input. Can you create content for me? 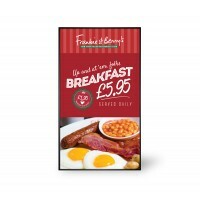 Yes, we are able to aid you in your visual information needs, just contact us on our number: 0844 800 1020. Can I manage the display via my network? Yes. By using the Cloud-based Content Management system (CMS) you are able to upload materials, create templates, manage created playlists, and schedule media anywhere where you have access to the internet. Can I schedule the content uploaded to the display? Yes. 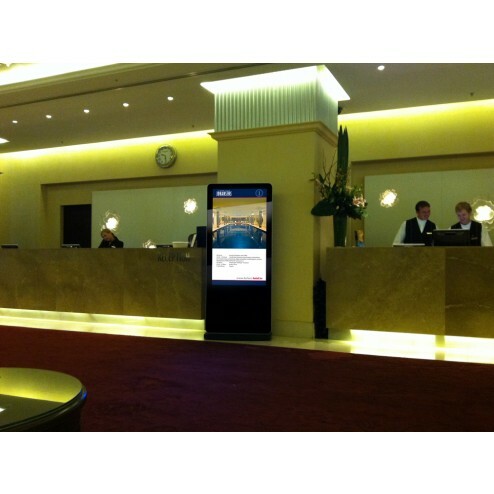 You are able to schedule your screen to display different media throughout the day to meet your needs. This may include altering the volume, displayed media, or changing the screen’s AV input. This may be done through the use of the Cloud-based Content Management system (CMS) for convenience or manually should you need. Office Documents; Word, Powerpoint, Excel, and PDFs. Image; JPG, GIF, BMP, PNG. Video; MPG, AVI, MP4, RM, RMVB, TS. What is the MySignagePortal CMS Subscription? This network subscription allows you access to the Cloud-based Content Management system (CMS): MySignagePortal to make updating and uploading to your screens very easy. 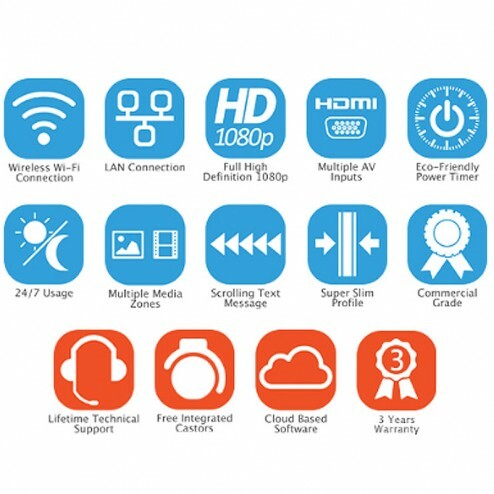 Using the CMS you can have total control of the screen over the network anywhere in the world, without the need for additional software, and PCs. How much is the MySignagePortal CMS Subscription? The network subscription comes in 3 lengths of time; 1 Year, 3 Years, and Lifetime, select one of the options above to see the price. However if you do wish to choose a custom plan, please contact us on 0844 800 1020 and we will be able to help with that. Does the screen include speakers? Yes. Allowing audio output from the uploaded media files, or via the external input (HDMI or 3.5mm Audio Jack). This volume can be adjust by the user, and even be changed with scheduling. What is the lifetime of this screen? 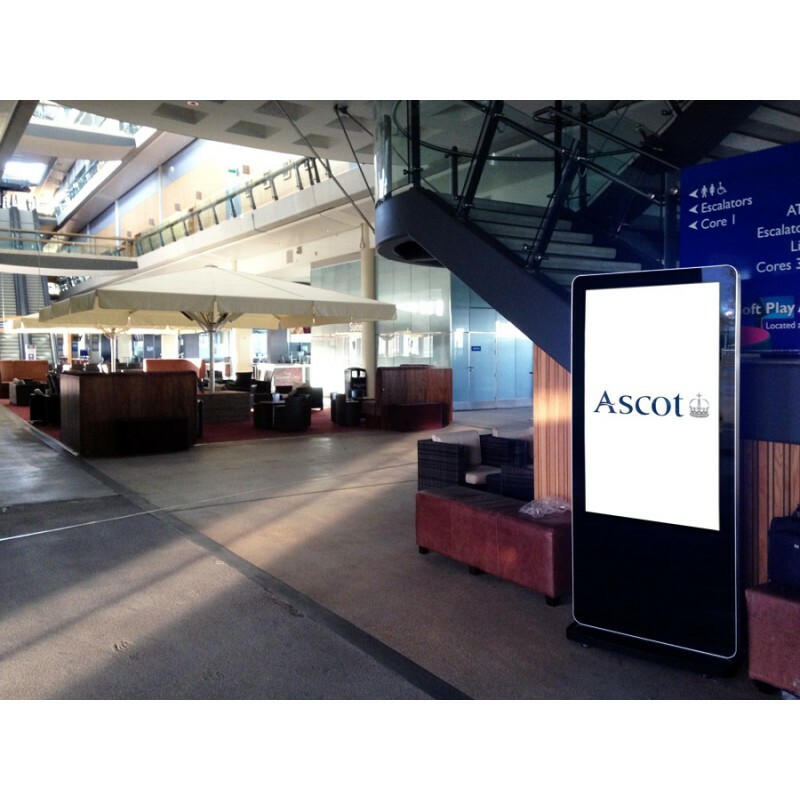 This screen feature an LED backlight display increasing its life span, enabling it to run in constant 24/7 operation for over 70,000 hours. 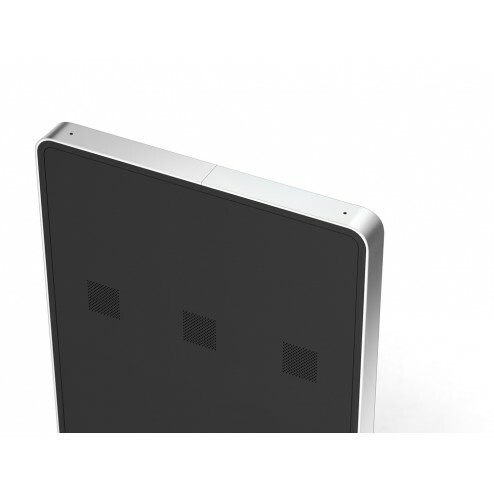 In addition to this the screen features a tempered glass face improving toughness, especially useful for public use. Does this screen have touch capabilities? No. However we do have touchscreen alternatives. 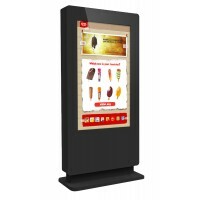 We offer both 50 inch and 55 inch screen sizes for this display. What resolution is the screen? The display’s resolution is 1080x1920. Yes. The display comes equipped with retractable castors built in, meaning it may be moved with ease. Then you may retract the castors to ensure it stays in place. No. This display is not designed to be water resistant, and therefore should avoid contact with water during use and installation. We do offer weatherproof alternatives should you need.